App Builder Appy Pie, January 18: In theory, referral program is one of the easiest ways to widen your user base in a simple and efficient manner. However, like most other marketing programs, this too needs proper planning and strategization. It is in the absence of careful planning, attention to details and updating the strategy according to the app’s growth that has led to many a company failing miserably at this simple marketing program. This concept is not entirely new. Through the ages we have looked for referrals and have valued the suggestions or recommendations that come from our friends and family and this is exactly what has inspired the concept of an in-app referral program. The concept of referrals may have given birth to these programs, but they have evolved in tune with the changing times to better suit the businesses and the end users. An in-app referral program helps generate an awareness about the app by bringing about a growth that is viral, but entirely organic. One model that has worked quite well in the past is incentivising the users to share the app content with all their contacts and crediting them once this contact has either downloaded the app or performed some kind of an in-app action like making a purchase. Features of Referral Program Your App Needs. So, you have decided to go for the in-app referral program to help your app grow. At this level it is important to know and develop a clear understanding of the features that your app would need incorporated in it. Typically, the problems emerge when the companies start off by incorporating only a few of these features and then get stuck during their growth curve as they feel the need for the rest of them. For someone who has just been introduced to the concept of referral programs, there might be quite a few words that need more explanation. Here’s a comprehensive list of terminology that you must acquaint yourself with, before delving deeper. Referring User – this is the user who has managed to bring in new users into the app. As an app developer, you would want to pamper them a bit by offering them lucrative rewards including discounts, money back, coupons, level up and more. Referred User – this is the user who gets into the app under the influence of the referring user and the content that they may have shared. Referral Rule – this is a rule or set of rules that determines the rewards or incentives each type of user would get when they trigger a particular event. Event – any action, like signing up or making a purchase that any kind of user might perform within the app. Referred Event – this refers to any of the actions that a referred user may take within the app. Credits – awards, either in form of currency or in-app credit that is offered to the users. Deep Link – a link that takes you to a specific content piece within the app. Referral Link – a deep link that is created by a referring user. Onboarding Flow – the experience of chain of events that the new users are greeted with once they download the app and open it. 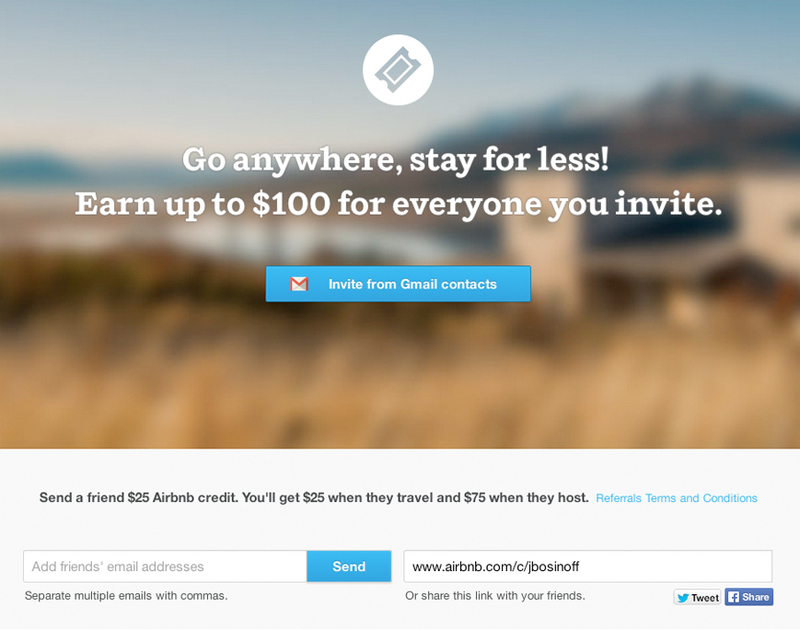 How is a referral program beneficial for you? It is important to understand the full impact of any marketing program that you may have in the pipeline. The in-app referral program has enough benefits in it to make you fall in love with it. An in-app referral program is one of those marketing activities or programs that offer easily measurable results in the form of expansion of the user base and garnering a great percentage of users who are active and loyal to the app. Typically an app developer like you would need to carry out marketing activities like push notifications, ASO, PR, and social marketing best practices in order to bring about an awareness about the product that bring about a great appreciation for the app. Employing a well-designed referral program gives it a big boost and a push bringing about a virality to the app. By offering the existing users an incentive to share your app’s content, the app stands to gain more potential users who are audience for the referring user. The concept is to make each of your user a promoter for your app and offering them incentives for the job. These results can then be analysed to foretell the number of potential users that lie in your app’s future. In-app referral programs offer the potential users an innate trust quotient which comes from the fact that it has been referred to by a friend or family who they trust. This tends to create a community of users and its foundation lies in the trust they have for each other, and the app. Most of the users or the potential users look for social proof and approval before deciding to use it themselves. In app referrals go a long way in dispelling this fear or innate need of recommendation from trusted users and encourage them to use it themselves. It is a great strategy to first acquire some users and get them to like your project, then offer them rewards and deals in exchange for a recommendation. The design and construct of a referral program is such that a long-term conversion mechanism is created which lowers the acquisition cost of the new users considerably. The referred users who have made their way to your app have done so willingly, hence the chances of them staying with you are a lot higher than the customers who have been acquired by any other media. The new users are then motivated in turn by the rewards to invite more users. While there are numerous examples of industry bigwigs who have benefited greatly from a well-designed and well-implemented in-app referral program, but what does a start-up app do to gain from this program. A loyal customer base is instrumental in this particular strategy. When you target the whole customer base, you might not defeat the purpose of this whole exercise which is to increase the customer base. Target only those customers who are the most active on your app as they would look forward to sharing your app and their experiences with their friends and family. Think clearly, why would someone be motivated enough to share your app, if there is nothing in it for them. Make it a two-way street so that you offer the users something in exchange of them sharing your app with others. Make it a win-win situation and the program would definitely experience insurmountable growth. The user is already invested in you and when you offer them further benefits, not only do they become more loyal, but the recommendation for your app becomes a lot more genuine too! Like any other marketing plan, the success of in-app referral programs too is heavily dependent on the timing of the release. If you decide to opt for the in-app referral program a little too soon in the life cycle of your app, there is a good chance most of the users haven’t heard about it and hence the probability of them going for it is really thin. The loyal customer base who have been engaged with the app form the baseline and are the main proponents for you. The benchmark for this number varies from one industry to the other. Another factor is the exact days that you run your campaign, e.g. it has been observed that iOS app users tend to download new apps on the weekends while the reverse is true for the Android users. It is important to keep an eye on such insights to time the release of your campaign well. The most effective way to execute in-app referral program is by isolating and then working separately on online, In-app and offline promotion categories parallelly so as to attract the maximum number of users. Keep your app users updated through emails, newsletters, and other notifications. Offer double incentives for the referring user as well as the referred user. More often than not, the promotion of your in-app referral would bring in an avalanche of app downloads, hence it is of great importance that the level of user engagement is not only anticipated but analysed as well with the help of a series of quality checks. Listed hereunder is a list of quality checks that must be performed while you launch your in-app referral program. The number of app installs through a campaign should be closely monitored to establish what works and what doesn’t in such campaigns. This data may even be employed in real time to make adjustments to the campaign or the incentives that are being offered. There are always some elements who would like to take advantage of the in-app referrals program and try and gain from it by identifying some loopholes somewhere. To avoid this and other kinds of fraud, it is imperative that a constant watch be kept on the campaign. Winnow out the real influencers or the loyal users from the generic users as they should be on the highest priority when it comes to an in-app referral program. They are the biggest proponents of these campaigns and hence need to be watched. It is possible that a referring user might not receive their incentive or coupon on time due to technical glitches or a design flaw. In such cases the user may be disappointed which will deter them from referring anyone ever again. An in-app referral program is strengthened only with growth hacking. In order to keep the user’s interested alive in the referral program, the process of sharing or referring the app needs to be simplified while offering them some kind of an excitement with it. The two most popular growth hacks are in-app sharing intent where the user is presented with the choice of channels that are the most relevant to them, and Positive Wallet Balance which has been known to decrease the uninstall rates of mobile apps by 60%. In case of referral programs if you fail to follow up, you essentially leave the program incomplete and lose out on gaining the entire benefits that might have made their way to you. Ideally this should not come off as a spammy effort and only lightly nudge or subtly remind them of the offer. You can choose to send out emails or push notifications or both to the users wherever a referred user comes on board spreading positivity. A notification or an email can share the incentive history encouraging the users or share the important dates or deadlines while letting them know that you miss them. It is important to pay attention to the incentives that you plan to offer in the referral program. There are a great many including cash or non-cash options. The intent of the rewards like cash back or discounts are great ways to ensure that the customers come back to use the app and stay active on it for longer. Another incentive that is often offered is the extension of the trial period for no added cost or even free shipping for ecommerce apps. At the end of any marketing campaign it is important to sit down and analyse the results and measure its impact. An in-depth analysis of the results need to be conducted of various parameters like the number of invites that were sent out, the number of clicks, the number of downloads, and the total revenue that was generated by the campaign. It is the genuine parameters that need to be analysed instead of just the vanity numbers. In the panorama of the app world, the word of mouth publicity or the referral programs have proven their worth repeatedly in pushing up the number of downloads. Four of the success stories that truly stand out in their application of in-app referral program are Uber, Dropbox, Evernote, & Airbnb. Let’s look a little deeper and figure out how they did it? They became such a revered success story that most of their competitors and other players in their category adopted this technology in an effort to gain consumers and ride up their app downloads. They have two referral programs running parallelly one for the riders and the other for drivers. 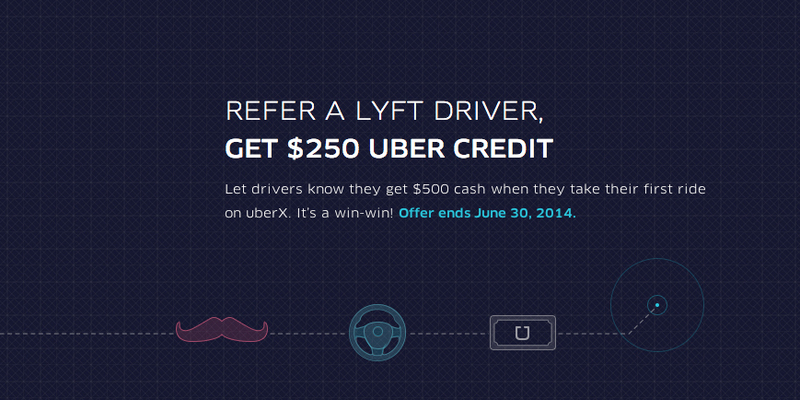 The promotional code is offered to the Uber drivers, who then pass it over to other potential drivers. If a new driver signs on using this promotional code, it gets linked to the referring drivers’ account. Once the new driver completes 10 trips the referring driver is entitled to their incentive. A rider is offered a promotional code which they pass on to potential customers. Once the new user uses the promotional code on their first ride, they get a discount. The referring rider gets a discount as well, every time his promocode is used by a new rider. Dropbox is almost uncontested in the referral marketing game with a whopping growth of 3900%. They too offer a double incentive where both the referring user and the referred user were offered free storage space – also called reciprocal incentive. 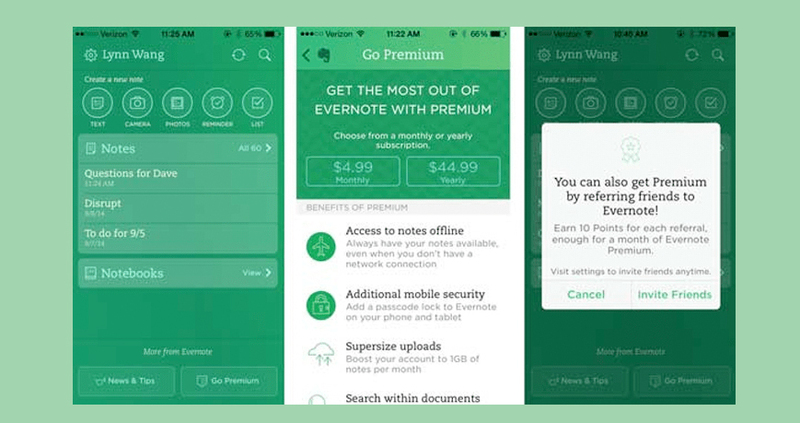 With a 100 billion rich user base, Evernote a billion-dollar app has also released a double-sided referral program. The rewards are plenty for both, the referring user and the referred user. The referring user wins points that may be used to acquire premium subscriptions or raise the limit of their monthly upload capacity. The new signees or the referred users are offered the premium version of the app for free for a month. Touted to be the best referral program, Airbnb’s double-sided referral program has contributed in the app become a $25 billion app. They offered their referring and referred users travel credit when the new member completes their first trip. The catch here is that the amount is only credited when the new user has completed their first purchase. An additional and higher travel credit is offered when the referred guest hosts a guest for the first time. Two important things that they ensured while sending out their referral invites was one, they conducted A/B tests on their referral invites to make them sound like gifts and not promotional efforts, and two, they kept the language altruistic as it brings in far better results than an out and out promotional email. It is your satisfied and loyal customers who would be the proponents of your referral campaign, hence make sure that you have a big chunk of them and can take advantage of them in entirety. It is easy to get impatient when you are just starting out, but in the initial phase of your app, your focus needs to lie on getting as many loyal customers as you can. When you do decide to launch your campaign, make sure that you conduct intense A/B tests for your referral schemes. Make adjustments to reap in as many benefits as you can, from the campaign.